Netzsch NEMO® Positive displacement progressive cavity pumps are used in all sectors of industries to convey almost all types of media continuously, smoothly, with low pulsation and dosing in proportion to speed. Flow rates up to 400 m³/h at pressures up to 24 bar. for optimum performance with every kind of application. 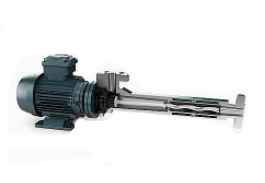 The Netzsch TORNADO rotary lobe pump is a positive displacement pump. The pumping action is generated by the contra-rotation of two rotors within the pump chamber which are synchronised externally. The media enters the pump chamber through the inlet port and is carried around the chamber by the rotors to the outlet port where it is discharged. Valve free construction, Self priming. Suitable for any kind of liquid including media containing gas, solids or fibrous matter. 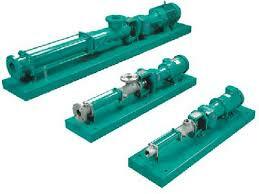 Suitable for lubricating and non lubricating media, pumping media with high or low viscosity. Operating at temperature up to 100°C. Can be serviced without disconnecting pipework and tolerant of dry running. 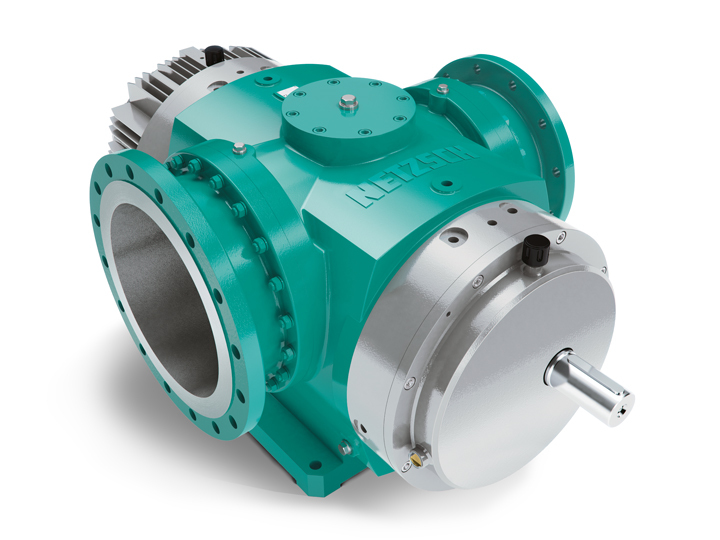 Netzsch TORNADO pumps offer maximum reliability through design, material and range of mechanical seals. The NOTOS® multi screw pump family comprises three series in multiple arrangements which serve a wide range of industries and applications. The superior quality standard meets the highest level of requirements from our customers. NOTOS® pumps are designed to convey low to well lubricating fluids, low to high viscosity, shear sensitive or chemically aggressive media. Our range of metallic materials extends from grey cast iron and chrome-nickel steel to duplex, super duplex or hastelloy steel. Further metal material options on request. 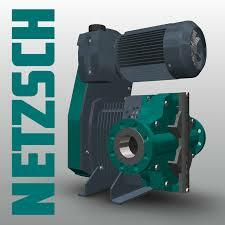 Netzsch NEMO® C.Pro® is an innovative pump series for conveying and metering small capacities. It has been developed from a continuing evolution of the well known NEMO® Mini progressing cavity pump. Generally stainless steel or PVDF rotor with a highly resistant polyurethane housing.